There are a lot of websites on the internet which will allow you to download YouTube videos for free. The problem is, while downloading videos is free, most websites will force you to install a java browser extension in your browser and it is only after installing the java browser extension, you will be able to download the YouTube video. While some sites are good to go, but there are also sites which will also install malware alongside installing the java browser extension. So you should be very careful about sites that request you to install a java browser extension for downloading YouTube videos. Fortunately, there’s an easier and safer method of downloading YouTube videos and it just requires you to edit the YouTube video’s URL. 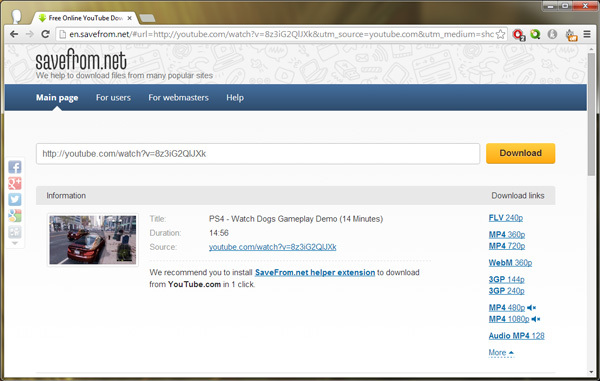 The next time you need to download YouTube video, here how you can use a simple URl edit to download YouTube Videos. 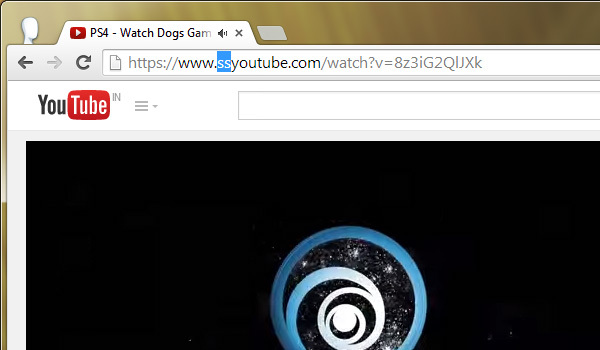 Step 1: Open any video on YouTube and add the words “ SS “ just before Youtube.com and press enter . For example: www.ssyoutube.com/watch?v=caiIamHIzBY . Here’s how the URL should look once you’ve edited it. Step 2: Wait for a few seconds for the download links to appear and once the download links appear, right click on them and save the video to your PC. This is as easy it can get to download YouTube video. This trick can be very useful when you are using someone else PC on which you don’t have a YouTube video downloader plugin.